A focus on wellbeing can help to reduce absenteeism, cut staff turnover, increase creativity and drive performance. It makes sense doesn’t it. Confident, healthy, happy, employees will be less sick, have higher engagement, be more adaptable and overall will perform better. That’s winning wellbeing! Workshop development has been informed by the latest research which shows that when we focus on our lives on Creating meaning, Achieving, Nurturing relationships, Building resilience and Engaging positive emotions we will be more successful. The programme has been built over a number of years on the values, beliefs, strengths and passions of the people that deliver it. 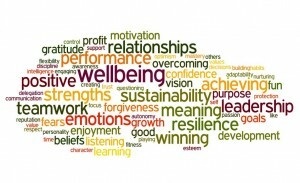 Whilst most training courses focus on knowledge and skills Winning Wellbeing also seeks to build, challenge and develop values, beliefs and attitudes, providing tools and techniques to develop more positive, effective and productive habits. This modular workshop can be delivered as a whole over 2 days or in bite size chunks. As well as gaining a more thorough understanding of the topic the emphasis is on giving attendees over 100 practical tools and tips to change habits and improve their wellbeing to the benefit of themselves and the business. A greater understanding how to direct their purpose, values, beliefs and strengths to positive effect. A greater awareness of self and others to build stronger relationships. Profit from more positive emotions that result in better outcomes. Develop greater resilience and adaptability in times of change. Discover effective and efficient ways to achieve more in both personal and work life. Winning Wellbeing is for individuals and teams who want to improve their personal effectiveness, performance and enjoyment in both work and home life. Increased self-motivation, direction and energy. Tools and understanding to develop more rewarding relationships. A greater focus on taking responsibility and achievement. An enhanced ability to control stress and increase resilience. Overall, a greater sense of wellbeing. 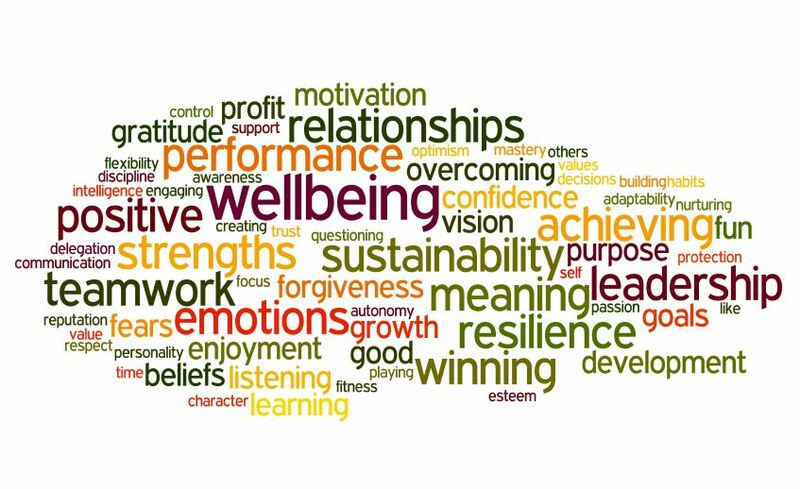 Winning Wellbeing is organised into the following clearly defined modules that can be delivered individually and build on each other to re-enforce the retention of knowledge. Whilst content focuses on the workplace it will be equally applicable and beneficial to the wider lives of attendees. The full 2 day workshop costs £250 per person with a minimum of 8 and maximum of 16 attendees. It has been shown that the benefits of training can be greatly enhanced by the addition of workplace coaching to follow on. This helps to hold people to account (in a supportive way!) but also to change habits and behaviours that might otherwise drift back into old patterns. That’s why at Improveon we offer coaching sessions to follow on from the Winning Wellbeing Workshop. These are recommended but not mandatory.